. : Damona Hoffman | CMEG :. Damona Hoffman is the dating expert of the new generation. An online dating early-adopter and success story, she has been showing singles how to harness the power of technology to find love for over a decade. A former TV casting director and executive, Damona always entertains while she teaches about celebrating your own unique experiences and personal story and learning to LOVE AS YOU ARE instead of conforming and compromising your individuality to find love. 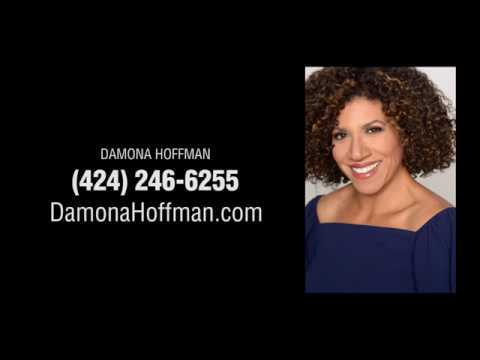 Damona Hoffman is a certified dating coach, radio host, and TV personality. Damona starred in the TV series #BlackLove and A Question of Love on FYI TV (A & E Networks), she hosts the Dates & Mates with Damona Hoffman Radio Show & Podcast, plus she is the Love Expert for BET.com. Damona was also a finalist for iDate’s Best Dating Coach of 2014 and 2016, has been named one of the top dating experts in LA by DatingAdvice.com, and recently named one of the top 10 Dating Experts in the country by Match.com. She’s made hundreds of media appearances on NBC, Fox, Animal Planet, SiriusXM, Woman’s Day Magazine, Essence Magazine, People Magazine and more.